I hope you don't mind this onslaught of Dave and I gallivanting all over the golden state! 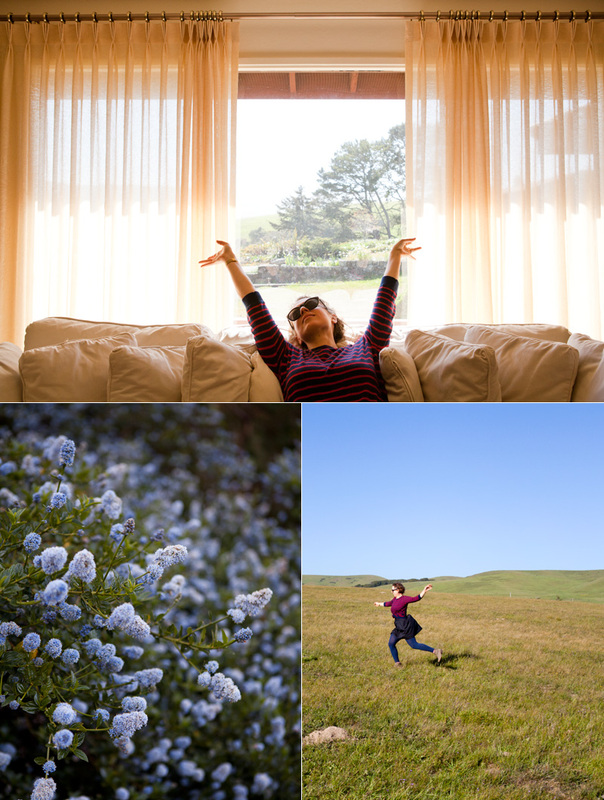 The natural wonders of California and mild weather just overwhelmed us with joy and rejuvenated our souls . . . Those sunny rays enveloped us with good vibes and smiles. We impulsively made a little detour to Point Reyes and I'm so happy we did. We picnicked at the Creamery with arnold palmers, kale salad, cheese toasties and port wine infused figs then headed up the road to the only B&B with a room available, The Vineyard Inn, which was just fine because it was quirky and weird, just how I like things. After a little wine tasting (ooh la la! 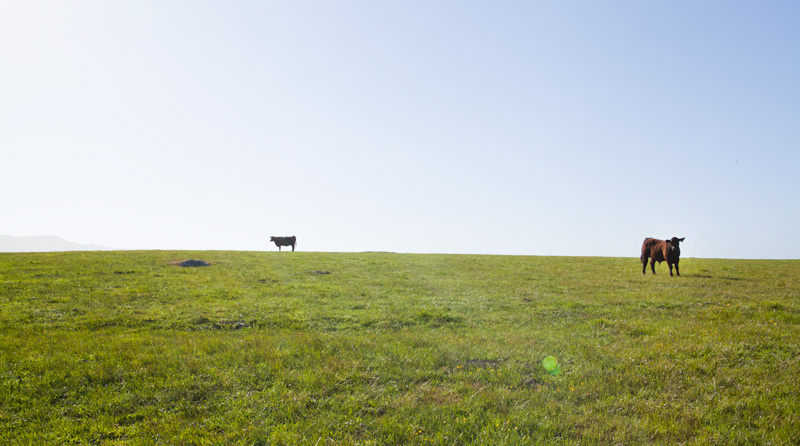 ), we walked down to the cow pasture and bird-watched, mooed at the cows, did cartwheels and ran around the perfectly green hills. The pathways led to foggy views and I wore flowers in my hair. I'd go back in a heartbeat!